Left: Ben Schwartz. Right: An artistic interpretation of what a real-world Sonic might look like. 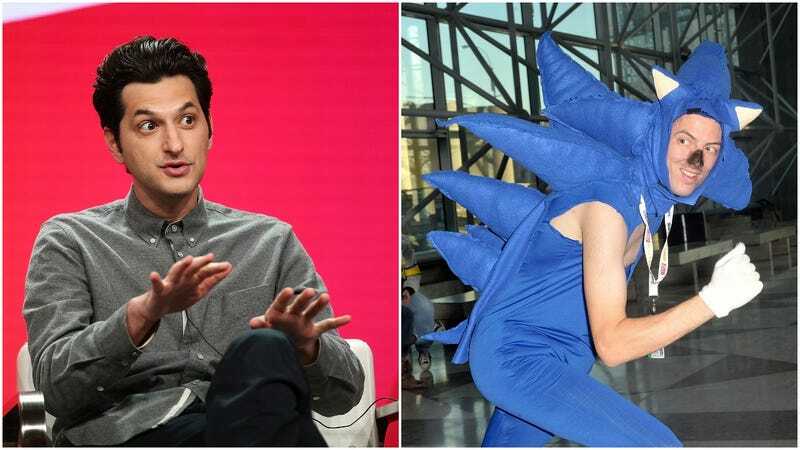 After months of fervent speculation—and what we have to assume was a truly heartbreaking period of limbo for former franchise star Jaleel White—Paramount has finally announced the actor who will become the new center of the Sonic The Hedgehog video game/film/worrying fan art universe: Ben Schwartz. Schwartz—probably still best known as Parks And Recreation’s Jean-Ralphio, but also a prolific voice actor and master of the Solo Bolo—confirmed the news on Twitter today, noting that, between this, Leonardo from Teenage Mutant Ninja Turtles, and Dewey from DuckTales, he’s really cornered the market on iconic blue cartoon characters. James Marsden, Tika Sumpter, and Jim Carrey have all been attached to star in the live-action/CGI hybrid, which is slated for a November 15, 2019 release, giving fans plenty of time to figure out exactly how they want to work Schwartz into their various headcanons and elaborate, blessedly impenetrable ’ships.